The statistic above presents the most successful Bollywood movies of all time at the Indian box office. Ranked sixth in the list of most successful Bollywood movies is the third installment of the Dhoom series – ‘Dhoom 3’, also known under its English title ‘Blast 3’. It is an action thriller directed by Vojay Krishna Acharya, who cooperated on the previous two installments of the series as well. 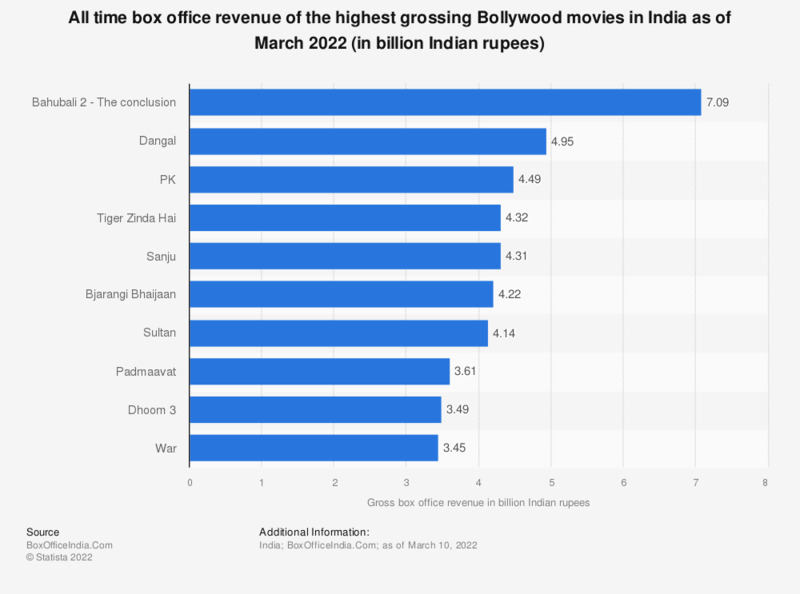 The movie was released on December 20, 2013 and, as of February 2018, its domestic box office revenue amounted to approximately 260.63 Indian crore.